Earlier this year helium was found in the outer atmosphere of WASP-107b, the first detection of helium in an exoplanet. Several teams have now used similar techniques to find helium in WASP-69b, HAT-P-11b and HD 189733b, leading to a slew of papers and accompanying press releases from the Instituto de Astrofísica de Andalucía, the University of Exeter and others (see , ,  and ). The press releases have led to extensive coverage including by CNN, the Daily Mail and Tech Times. This entry was posted in exoplanet atmospheres, HATnet planets, Hot Jupiters, WASP planets and tagged HAT-P-11b, HD189733b, WASP-107b, WASP-69b on December 10, 2018 by waspplanets. On-going radial-velocity monitoring of WASP hot Jupiters has shown that some of them have companions, additional Jupiter-mass planets in much wider orbits. This might be part of the answer as to why there are hot Jupiters at all. Standard planet-formation theory suggests that they must form much further out, where it is colder and where ice can form, enabling bits of pre-planetary debris to clump together. Thus one solution is that gravitational perturbations by third bodies (wide-orbit massive planets or companion stars) push the inner planets into highly eccentric orbits, where tidal capture then circularises them into hot-Jupiter orbits. But, if this “Kozai effect” is to work, the outer planets need to be in orbits tilted with respect to the orbits of the hot Jupiters. This requires i < 65 degrees, rather than the co-planar i = 90 degrees. 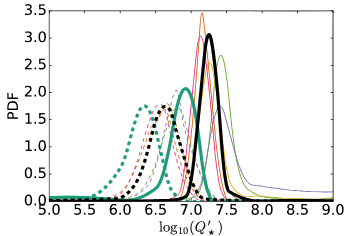 A new paper by Juliette Becker et al reports an analysis of six hot-Jupiter systems orbiting cool stars that have an outer planetary companion. These are WASP-22, WASP-41, WASP-47, WASP-53, HAT-P-4 and HAT-P-13. Though a statistical analysis they show that the outer planets are most likely co-planar, with orbits tilted by no more than 20 degrees. They thus argue that Kozai-driven high-eccentricity migration is not the dominant way of forming hot Jupiters. This entry was posted in HATnet planets, Hot Jupiters, WASP planets and tagged companion planets, Kozai effect, WASP-22, WASP-41, WASP-47, WASP-53 on October 9, 2017 by waspplanets. NASA have put out a press release entitled: “Hubble’s Tale of Two Exoplanets: Nature vs. Nurture”. The article compares WASP-67b and HAT-P-38b, noting how similar they are in size and temperature, both orbiting similar stars at a similar orbital distance. But then Hubble’s Wide Field Camera 3 found that WASP-67b has a very cloudy atmosphere whereas HAT-P-38b has much clearer skies. The NASA press release has been picked up and reported on several dozen science-related websites. This entry was posted in exoplanet atmospheres, HATnet planets, Hubble Space Telescope, WASP planets and tagged HAT-P-38b, WASP-67b on August 10, 2017 by waspplanets. It is fairly amazing what one can deduce about planets orbiting distant stars. 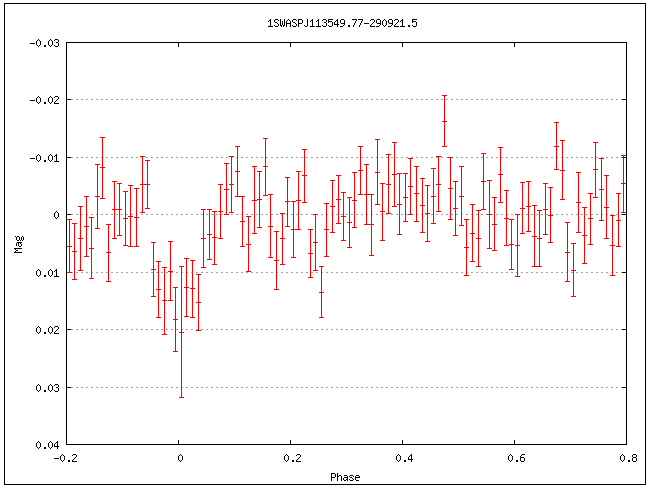 A new paper by Peter Buhler et al reports constraints on the rigidity of the hot-Jupiter exoplanet HAT-P-13b. The essential data comes from an observation of the occultation of the planet (when it passes behind the host star), as observed in infra-red light by the Spitzer Space Telescope. If the planet’s orbit were exactly circular the occultation would occur exactly half a cycle after the transit. But this occultation is 20 minutes early. That means that the orbit is slightly elliptical, amounting to an eccentricity of 0.007 +/– 0.001, a small but non-zero value. Most hot Jupiters are expected to have orbits which have been completely circularised by tidal forces. Thus an eccentric orbit implies either that the planet has only relatively recently moved into that orbit, or that the eccentricity is being maintained by the gravitational effects of a third body. In this case another planet, HAT-P-13c, a 14-Jupiter-mass planet in a longer 446-day orbit, is thought to be perturbing the close-in hot Jupiter HAT-P-13b. The extent of the perturbation then tells us about the rigidity of the hot Jupiter. Tidal forces result from the fact that gravity differs across an extended body such as a planet, and how a planet reacts to the tidal stress depends on its rigidity. 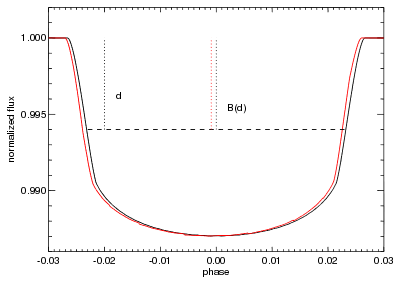 The rigidity is parametrised by the “Love number”, and the authors find that the eccentricity of HAT-P-13b’s orbit implies a Love number of 0.3. This in turn implies that the planet likely has a rocky core of about 11 Earth masses, with the rest being an extended gaseous envelope. This entry was posted in HATnet planets, Hot Jupiters and tagged HAT-P-13b, occultation, Spitzer, tidal interaction on February 17, 2016 by waspplanets. Exoplanet cloudiness from transit lightcurves? An interesting new paper by von Paris et al has explored the effect of the cloudiness of a planet on transit lightcurves. If a planet were cloudy on one limb, but clear on the other limb, then that could make the transit slightly asymmetric. The authors show that, in principle, this effect could be detectable with good-enough quality lightcurves. 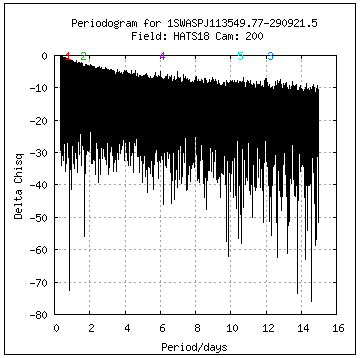 The authors then claim a possible detection of such an effect in the hot Jupiter HAT-P-7b. This might open up a new way of exploring the atmospheres of exoplanets. Whether this can ever be done reliably, however, is debatable. 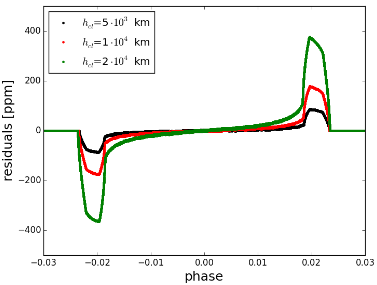 A big assumption in the authors’ simulations is that the star being transited is uniform. However, we know that stars are usually magnetically active and so are patchy. Star spots and bright patches on the star are likely to have a greater effect on the transit profile than the cloudiness of the planet’s atmosphere. Still, the effect is worth exploring, particularly for planets transiting magnetically quiet stars. This entry was posted in exoplanet atmospheres, HATnet planets and tagged exoplanet transits, HAT-P-7b, magnetic activity on February 17, 2016 by waspplanets.